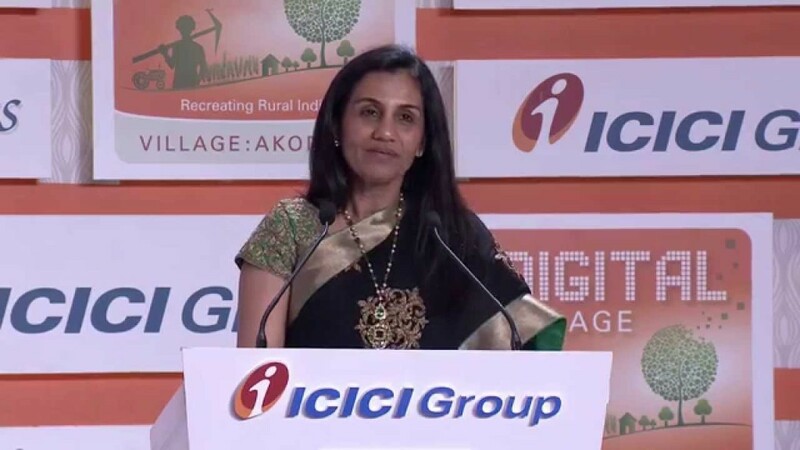 Chanda Kochhar heads ICICI, the leading private bank in the country. She’s been counted as one of the most prominent businesswomen in India and for the 5th year was listed amongst top 100 influential women in the business world by Forbes. She’s brought many business and cultural changes at ICICI, some of which include special schemes for farmers, girls’ education loans and more recently a 6 month Work-from-home policy for ICICI bank women employees. No doubt, Kochhar is a woman of substance, with as good a sense of business as of her responsibility as a woman, and a mother. In May 2014, she wrote a touching letter to her daughter purported to inspire her with stories of Kochhar’s own struggle, hard work and values. The letter was featured in Sudha Menon’s book Legacy. In the letter, Kochhar recalls how when growing up, her parents treated all their children equally, seeing a foundation on which she still tries to live her life today. “That it was important to focus on what gave us satisfaction and to work towards it with utmost dedication. That early initiation enabled us to develop into confident individuals capable of taking decisions independently. This also helped me when I started out on my own journey of self- discovery.”, she says. Her father’s untimely death at 13 suddenly made the cushioned life of Kochhar go into a flux, and that’s when Kochhar saw and admired her mother’s strength to take up a job, and run the household single handedly. 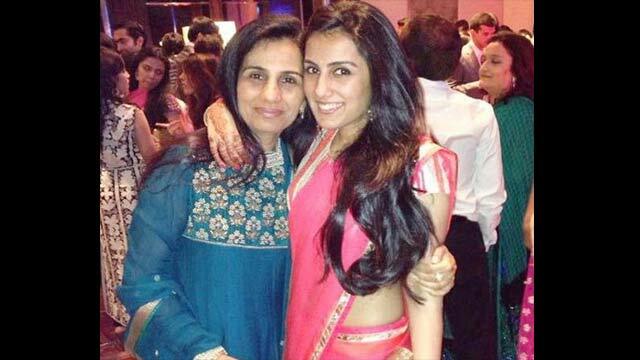 Kochhar also invokes her daughter to live her life without influence of fame or success. She reinforces the importance of being able to handle difficult situations and keep moving forward in life. Kochhar says she believes in fate also believe that hard work and diligence plays a very important role in our lives. Take destiny in your own hands, dream of what you want to achieve, and write it in your own way. As you go ahead in life, I want you to climb the path to success one step at a time. Aim for the sky, but move slowly, enjoying every step along the way. It is all those little steps that make the journey complete. She invokes her daughter to be thoughtful, sensitive and determined. “There is no limit to what a determined mind can achieve, but in achieving your goal, don’t compromise on the values of fair play and honesty. Don’t cut corners or compromise to achieve your dreams. Remember to be sensitive to the feelings of people around you. And remember, if you don’t allow stress to overtake you, it will never become an issue in your life.”, she says. Here is a copy of the entire letter. I was only a young girl of 13 when my father passed away from a sudden heart attack, leaving us unprepared to take on life without him. We had been protected from life’s challenges so far. But without warning, all that changed overnight. And my mother, who had been a homemaker till then, faced the responsibility of raising three children all on her own. It was then that we realized how strong she was and how determined to do her duty in the best possible manner. Slowly, she discovered a flair for designing and textiles, found herself a job with a small firm, and quickly made herself indispensable to them. It must have been challenging for her to shoulder the responsibility of bringing up her family single- handed, but she never let us feel like it was a task for her. She worked hard till she saw all of us through college and we became independent. I never knew that my mother had such a wealth of self-assurance and belief within her. I also learnt from my mother that it is very important to have the ability to handle difficult situations and keep moving forward in life, no matter what. Even today I can remember the equanimity and calmness with which she handled the crisis on hand when my father passed away. You have to handle the challenges and emerge stronger from them, rather than allow them to bog you down. I remember how, in late 2008, we were faced with a situation where ICICI Bank’s survival was in jeopardy in the face of a global economic meltdown. The situation was being analysed with a hawk’s eye by major media platforms and debated widely in the public space… I got down to work, systematically communicating with all stakeholders – from the smallest depositor to the sophisticated investors, and from regulators to the government – the bank was sound and its exposure to these institutions involved a small portion of its assets. I understood their concern because so many of them feared that their hard earned savings in our bank could be at risk. I also advised staff across the bank’s various branches to lend a sympathetic ear to those depositors who turned up to withdraw their money, telling them to also offer the depositors a seat and a glass of water while they waited. And though, depositors were welcome to withdraw their money if they wanted to, our staff also took care to explain to them that it would not help them to take their money away, because there was no real crisis situation.